預熱焗爐至 180C (356F). 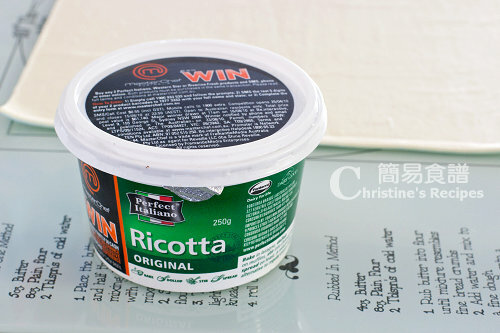 在一焗盤上鋪上 baking paper. 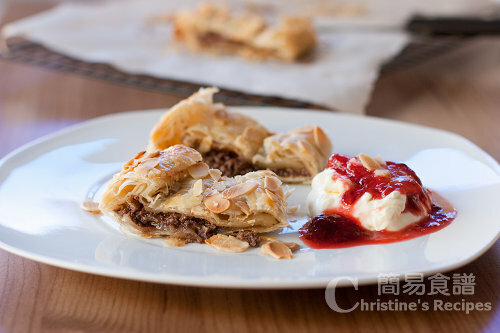 Is it different from puff pastry? If so,could you plse advise what brand do u use? Thanks very much. Oh, you bought the pastry different from mine. 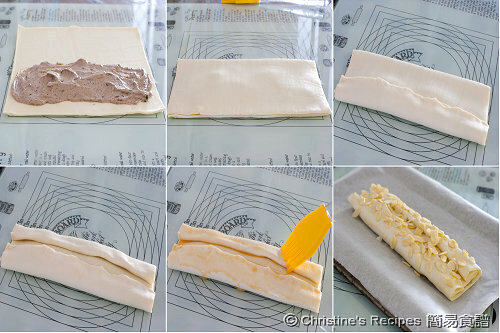 I think your filo pastry will do also, only the texture would be different. Taste would be good as well. 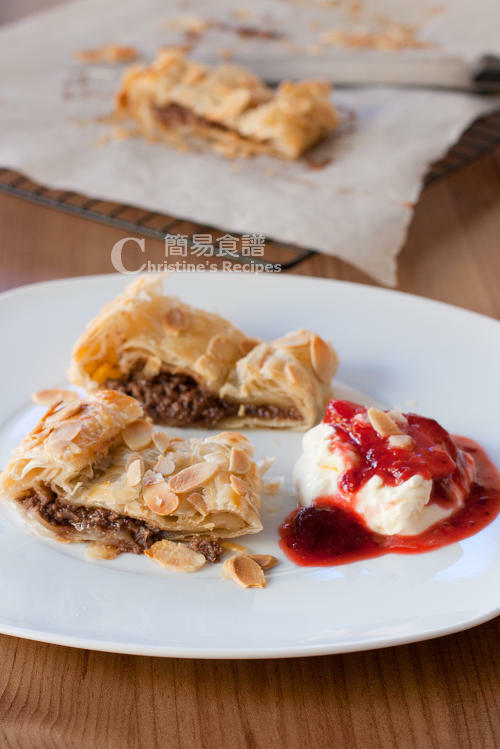 Thanks for sharing this easy-to-make-delicious pastry, I made a few times already, yum yum yum!! 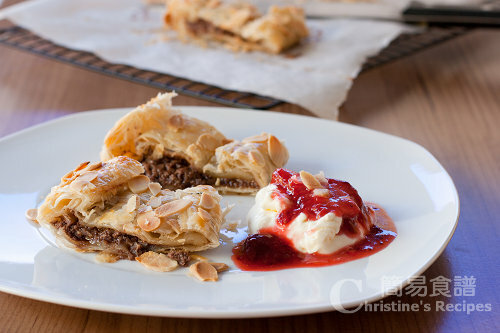 This dessert can be made with filo pastry too. Very good.